I’m happy to announce that we are adding three new GPS tracking apps to our suite of mobile apps: Run Tracker Pro, Cycle Tracker Pro and Walk Tracker Pro. Since the beginning we have been focusing on developing running apps based on training plans, but we’ve always had customers ask us about having non-training plan based apps as well. When our long time partner Peaksware approached us with the possibility of acquiring their suite of GPS tracking apps we jumped at the opportunity. Adding a Cycling app to our offering and more choices for non-plan based tracking apps is something we’ve always wanted to do. 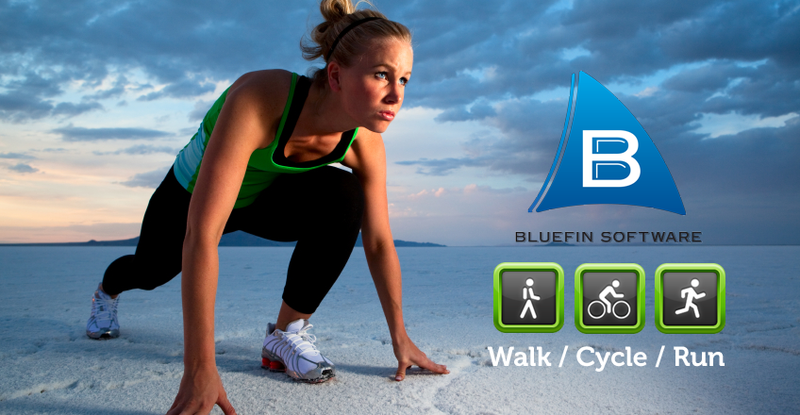 I’d like to take this opportunity to welcome all Tracker Pro users to the Bluefin family. Other than a few logo changes you won’t notice anything different about the apps now. In the future we plan on adding new features and continue making the apps one of the best GPS trackers on the market. Here’s a link to the press release announcing the purchase. i think this app is going to be best and looking forward to use it. Thanks for the update. It works fine now. Sorry for the late reply here. We were able to find the issue and expedite a new update that fixes it. I’m so sorry about the lost activity history. At the time I made that suggestion we weren’t aware of the cause of the issue. I deleted it. I reloaded the app from the App Store. I lost all my data. I set it back up. I walked again and when I finished it has the same problem. I have WalkTracker Pro on an iPhone 5 with IOS 7. I updated to your version of it today. When I finished my walk, I pressed STOP and now it beeps and crashes. No matter what I do, it crashes when I open it up. Not a good start to your new purchase. So sorry to hear about that. Do you get prompted to send us a crash report when you reopen the app? Also, have you tried restarting your phone? It crashes so fast that I can not press the button to send the crash report. I have restarted my phone and the same thing happens. If you haven’t already done this, please try repeatedly opening the app and after a few consecutive tries it may stay open. If that doesn’t work, try deleting and re-downloading the app. I’m truly sorry about this. I have tried what you suggested and it doesn’t work. I am concerned that if I delete the app and re-download it that I will lose the 6 months of data I have on it.